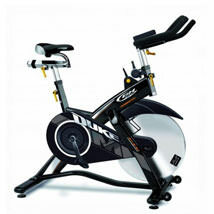 To create a high quality fitness centre experience, you need high quality fitness equipment. At Fitness Superstore, we provide a wide variety of full commercial fitness equipment which is designed specifically for the following environments: gyms, health clubs, fitness centres, professional athletics teams, prisons, military basis, government agencies, schools and colleges. 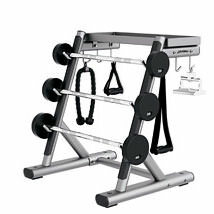 Full commercial fitness and strength equipment is manufactured to the highest level of durability and is built to withstand heavy, frequent use. This means the equipment will feature higher quality engineering and aesthetics with higher quality components. Another key benefit is that full commercial equipment also has better warranty because of its heavy usage design. As a result you have peace of mind that you can deliver the best fitness centre experience to your customers so they keep them coming back and retain their membership. We stock high-quality cardio and strength fitness equipment from leading manufacturers including Life Fitness, Matrix Fitness Solutions, Octane, York, Bodypower, Body Solid, Relay Strength and more. We can provide everything you need to get your commercial environment stocked with the equipment to suit both your and your customers’ needs. Our cardio fitness equipment includes premium full commercial treadmills, exercise bikes, rowers, elliptical cross trainers and steppers. Our extensive range of full commercial strength equipment includes multi-gyms, power cages and racks, smith machines, benches and much more. Find out more about our Commercial Sales Division.